Capsule wardrobes are meant to decrease the stress in your life, from making your morning routine quicker, to helping you get ready for a night out with ease. Having less in your closet is more productive, and lets face it-there’s less laundry to worry about. This winter Zara released a wide selection of brown coats all ranging in price, and style and after great consideration I opted for this oversized belted version. Lets just say I haven’t taken it off ever since and although I created a winer capsule wardrobe this year, I tend to reach for the same things over and over again. Coats aren’t exactly the most difficult item to chose from when finishing off your look, but always knowing i’m wearing the brown coat slices a few minutes off of my going-out routine-which I am totally thankful for. 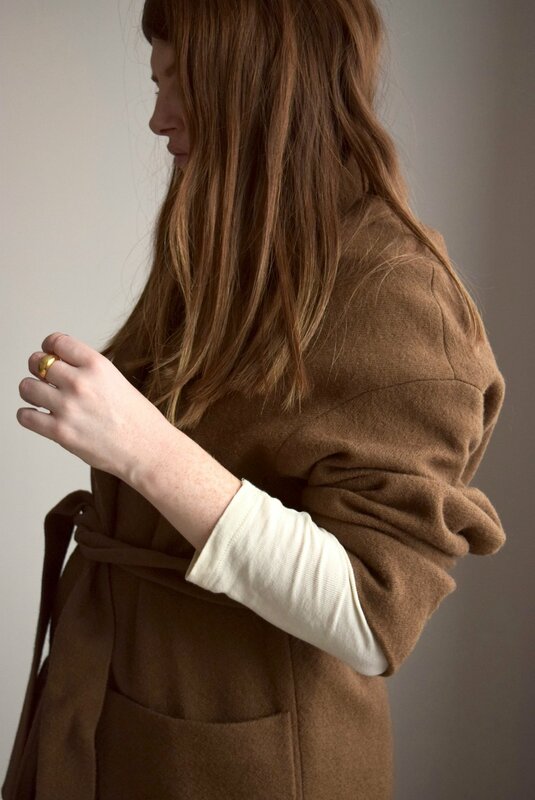 This brown coat is so comfortable I might as well be wearing a house coat, its oversized structure, side slits and adjustable belt allows for optimal movement and room for layering underneath. Its neutral colour makes it versatile because it matches with everything, and i mean everything. As i’ve talked about in previous posts I stick to a colour theme when creating a capsule wardrobe, so I actually don’t have one item that does not and will not match this coat. Leaving the guesswork out of matching- bless! Finally, if you look wayyyy back at style in the 20’s you’ll notice that brown has always been in Vogue especially in European countries. Giving this beauty a modern and vintage look that will never go out of style, no matter what era. Creating a wardrobe that you love sets you up to go out and accomplish your day, the ease in frustration during peak times of the day allow you to focus on other aspects of you life. Fashion-style-clothes are meaningless to many, but if it matters to you then don’t you think you should chose items wisely? and have pieces that you grab consistently, like this jacket?